It’s impossible to imagine Savannah without the stunning mansions which adorn so many of its squares and streets. But the city’s architectural heritage was once in real danger of disappearing completely. 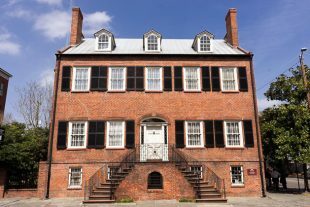 The struggle to save Savannah’s soul began in 1955, at the Isaiah Davenport House.